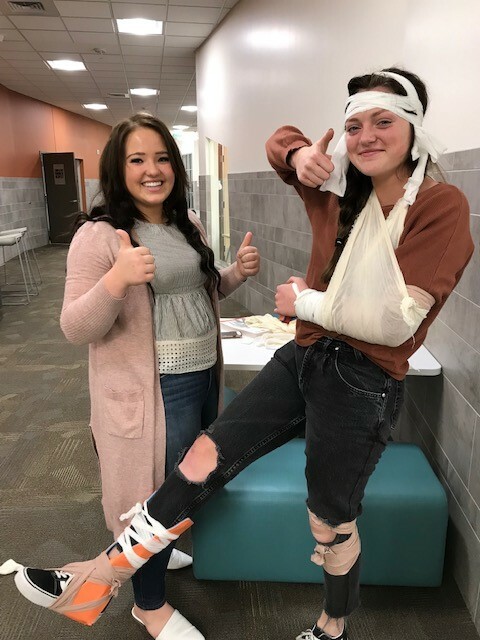 EMR classes were busy passing off their bandaging and splinting techniques getting ready in case anyone had a sledding or ski injury over the Christmas Break. I knew that I would be able to call any of these students if that happened to someone I knew because they all learned the skill to perfection as you can tell from the photos. Ms. Grant is always on top of making sure these students know and can pass off all the skills needed to be efficient Emergency Medical Responders.